As a seasoned luxury lodge and cottage vacationer (with family in tow!) 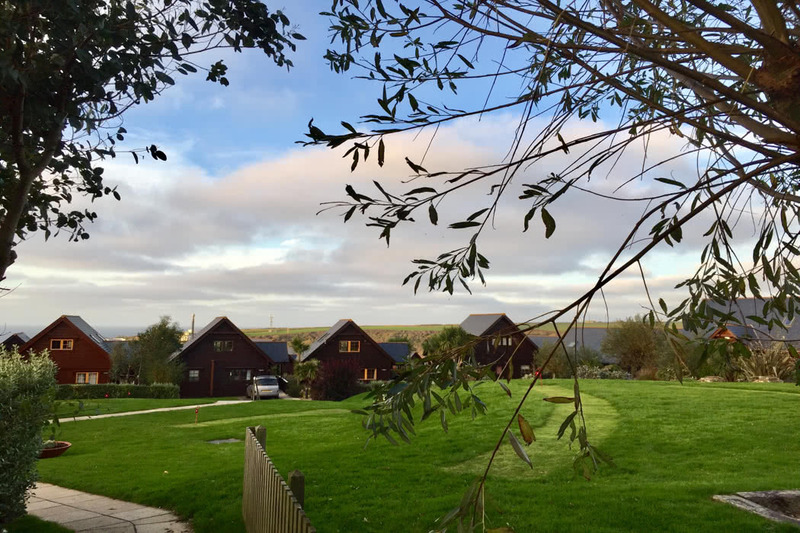 I have been lucky enough to stay in some pretty amazing places: 5 star apartments on the Thames in London, chic rustic cottages in Somerset, woodland lodges in Dorset, not to mention some of the bigger branded family resorts out there. 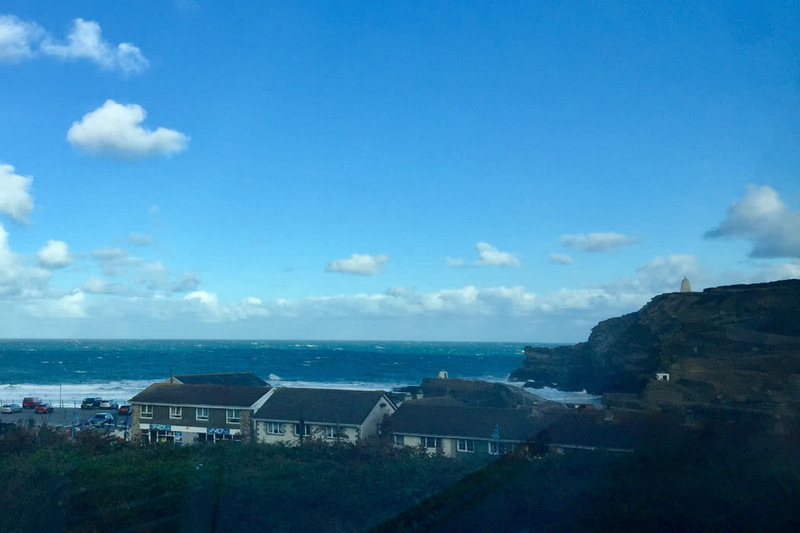 However, I’m so excited to tell you about somewhere really special and truly unique: the multi award-winning Cornish Luxury Holiday Resort of Landal Gwel an Mor in Portreath. 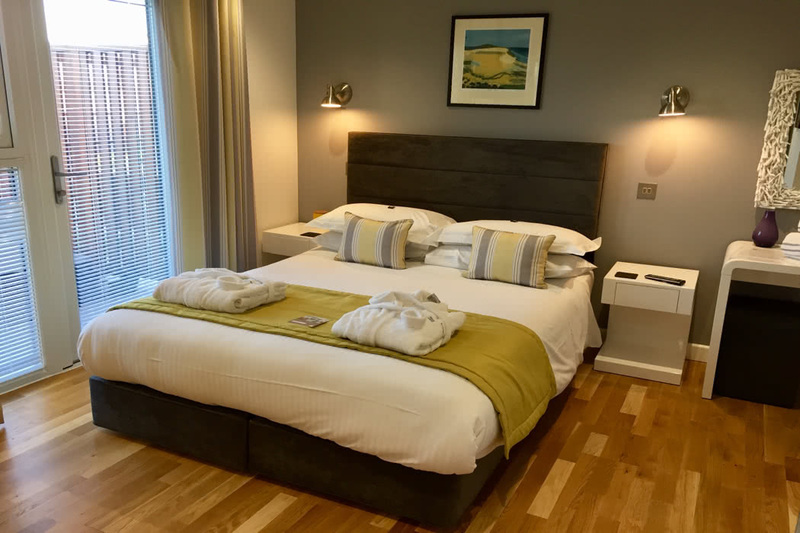 We have just returned from a wonderful break at this stylish five star resort with some amazing top class facilities, all set overlooking the Cornish coastline. The resort lies amidst landscaped gardens, green fields, lakes, a nine hole golf course, farm and so much more. 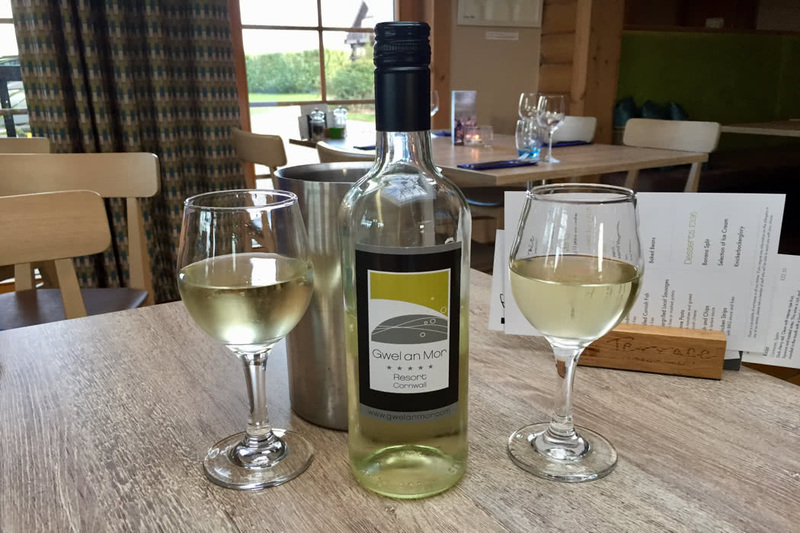 On arrival in our lodge we were greeted with cafetière coffee, delicious Cornish biscuits, chocolates on our pillows and a bottle of chilled Gwel an Mor Resort wine – a most welcome surprise! 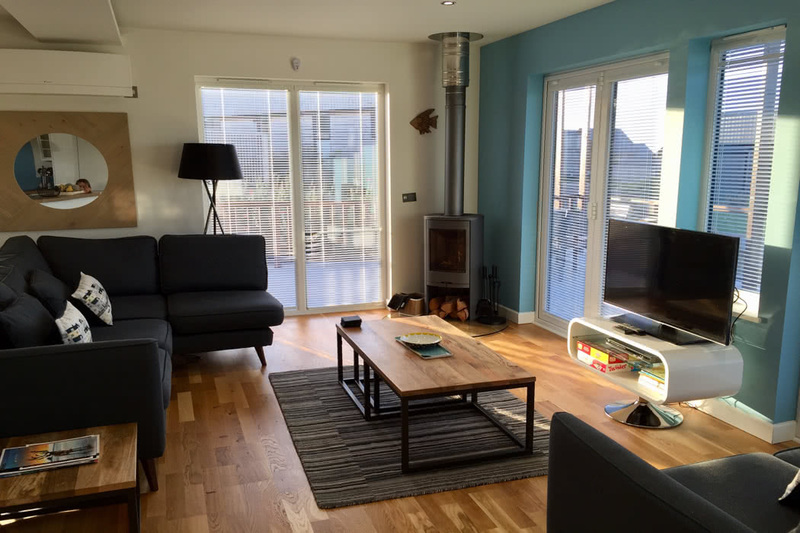 Gwel an Mor Resort is a place to stay, to surf, to relax, to drift and enjoy, all set just a short stroll from the harbour and beach town of Portreath on the North coast of Cornwall. Portreath itself is situated on the famous South West Coastal Path with 630 miles of superb coastal walks to discover and it also has one of the finest sandy beaches in Cornwall. The resort is set high on a hill overlooking the Atlantic Ocean and is part of the Landal Greenparks collection, a European travel brand with a great heritage who have been creating memorable holidays since 1954. With Landal’s focus on getting back to nature, family time, hostmanship, luxury and local values along with their plans to expand their collection into the UK, Gwel an Mor was the perfect fit leading to a successful partnership at the start of 2018 with the resort becoming Landal Gwel an Mor. The nearest train station is Redruth with direct mainline services to London Waterloo running every hour. You can travel from London Paddington by train direct to Redruth in 4 and a half hours and you can fly to Newquay airport from Gatwick in less than an hour. Landal Gwel an Mor redefines the whole concept of self-catering, with contemporary Scandinavian style cabins and eco-friendly lodges, residences and studios all equipped to the highest standards. The resort truly combines the best of a luxury hotel with all the comforts of home. Our chic coastal lodge featured contemporary colours and lovely coastal holiday themes throughout. The open plan living space was light and airy, with patio doors opening onto the deck, which let a beautiful breeze flow right through the property, keeping you cool in the warmer summer months. The spacious outside terrace also enjoyed views across the surrounding meadows and out to the sea beyond. To say the resort offers a multitude of activities for its guests is a serious understatement! 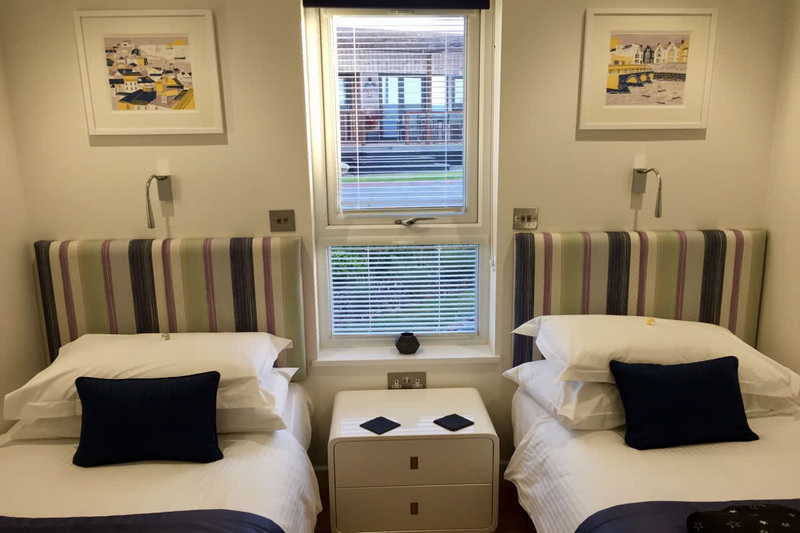 The resort has enough facilities to keep families, couples and individuals entertained throughout the entire of your stay, leaving little reason to leave the resort, plus there’s free wifi throughout to keep you connected to the outside world too. The clubhouse reception building features a fully equipped gym, warm indoor pool with jacuzzi, steam room and sauna, plus children’s outdoor play area as well as tennis courts, putting and croquet facilities. 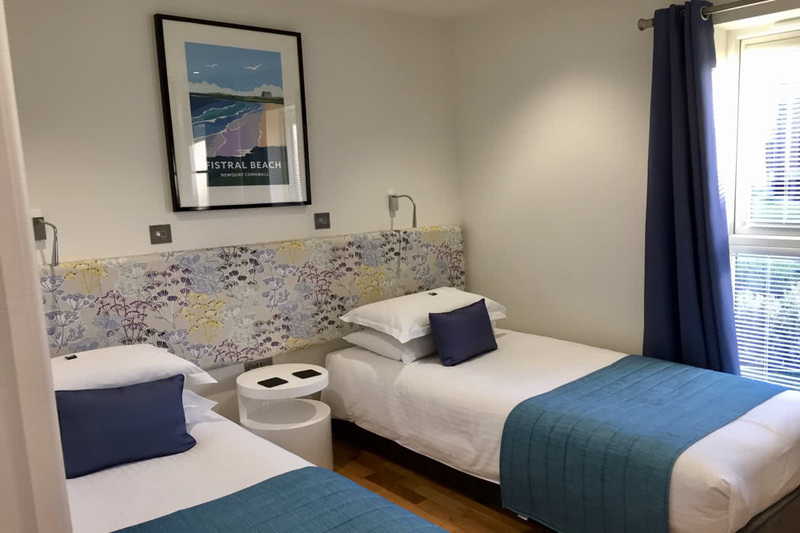 Also in this building you’ll find the bijou Wellbeing Spa which offers an extensive menu of pampering facials, body and cosmetic treatments with a beautiful range of marine based products. I highly recommend trying the ‘treatment of the month’ which combines a wonderful taster of a number of different treatments to leave you truly relaxed and rejuvenated. Base Camp at Landal Gwel an Mor is a thrilling indoor play centre and Clip’n’Climb facility, which children (and adults!) of all ages will love! My two loved the soft play area and my husband and I enjoyed coffee and light bites whilst relaxing in the café. 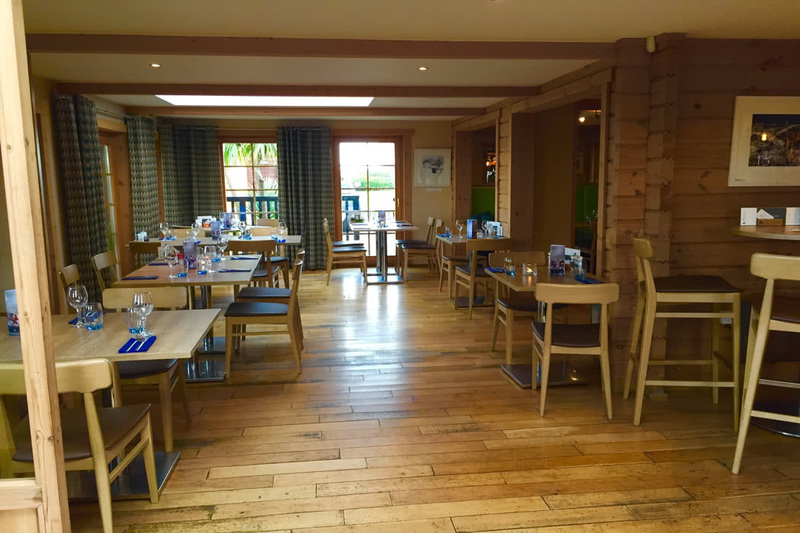 The Terrace Restaurant is an informal dining destination offering a menu packed with Cornish produce and Mediterranean inspired dishes. Clover Lake is the resort’s 2 acre coarse fishing lake stocked with tench and carp, offering a peaceful but challenging fishing experience. 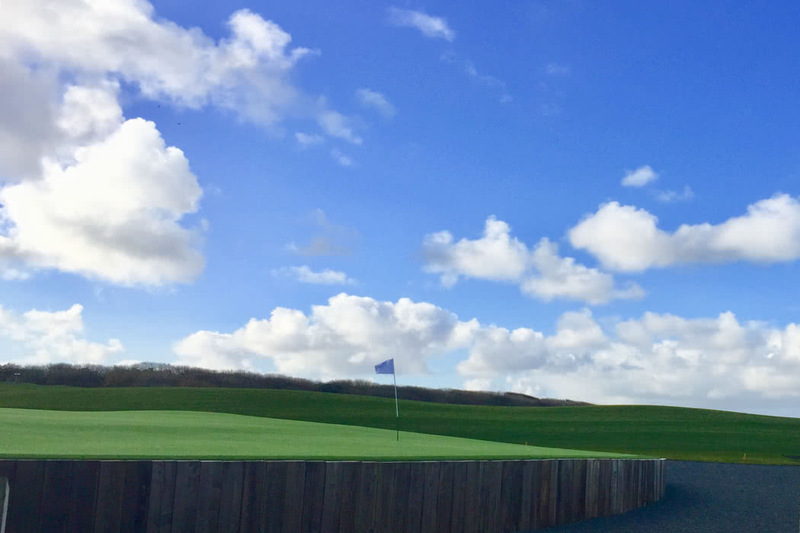 The Famous Nine at Landal Gwel an Mor is the UK’s largest all weather greens and tees golf course, inspired by aspirational courses from around the globe. 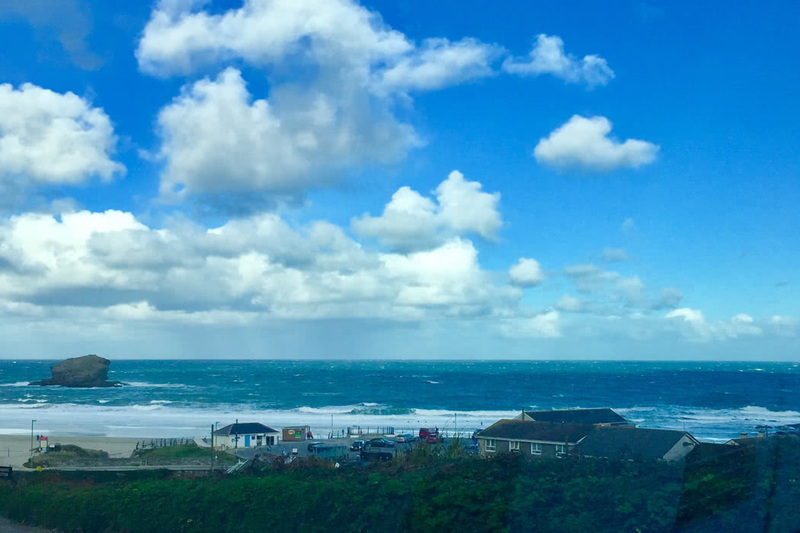 Boasting spectacular coastal views it’s the perfect way to while away a morning or afternoon during your stay and best of all it’s open all year round. 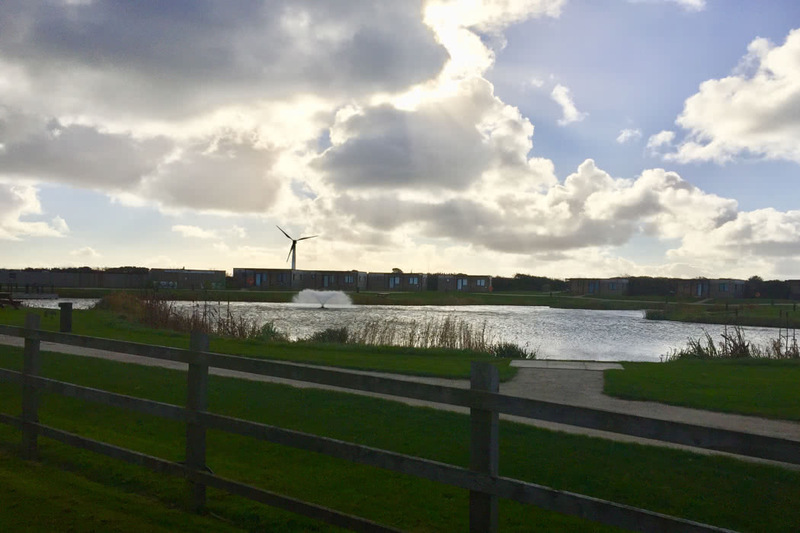 Finally, Feadon Farm, which lies within the resort, is the only wildlife centre of its kind in Europe and is a true family holiday gem. Visitors can meet and feed a wide range of animals including reindeer, rescue foxes, barn owls and more. Or why not try your hand at falconry, badger watching, rock pooling or one of their magical night walks. 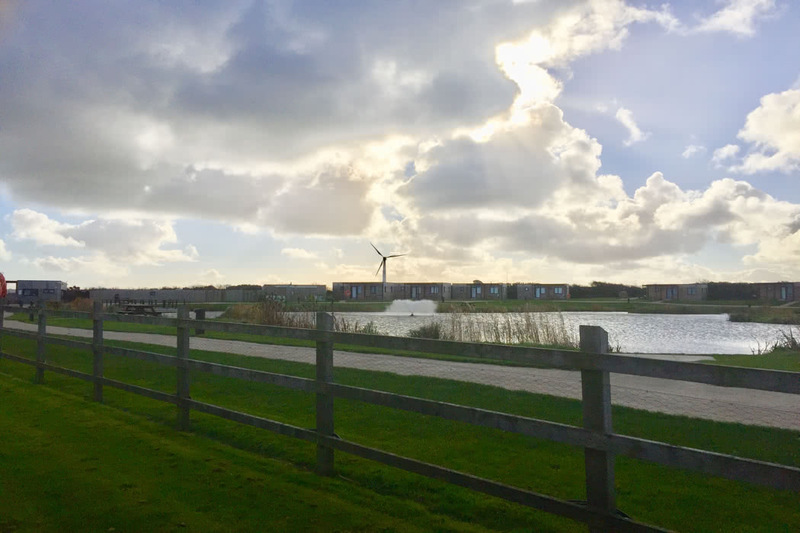 If all of this isn’t enough, whilst staying at the resort you can also experience deep sea fishing, horse riding, cycling, kite surfing, coasteering, kayaking, surfing, archery, body zorbing, sea scootering, snorkelling and so much more! 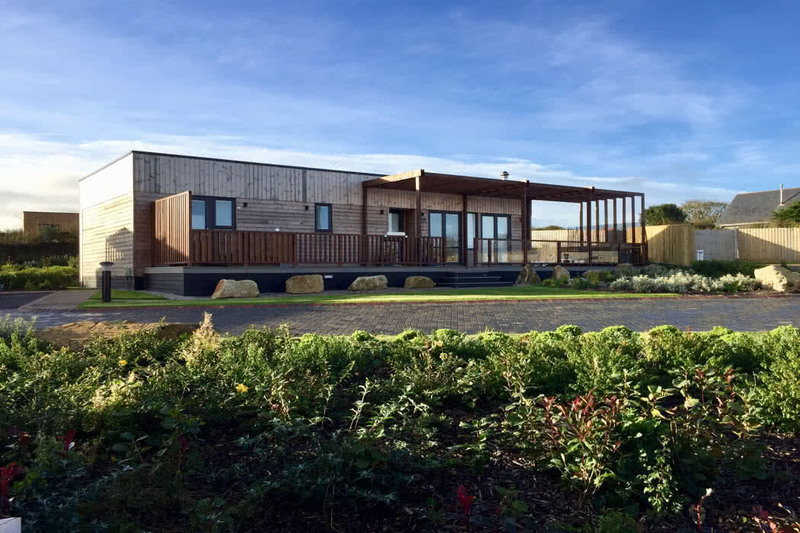 We stayed in a Residence Collection 3 Luxury Lodge one of the new collection of detached single storey designer eco-lodges. Now the name might sound like a mouthful, but what you really get is a very luxurious and chic 2 or 3 bedroom lodge with 2 bathrooms, spacious open plan living-dining-kitchen area (with mood lighting and a roaring log burner) as well as a huge deck with loungers and hot tub, what more do you need for a relaxing family break? Plus, the master bedroom had an ensuite, the family bathroom had a plasma TV you can watch whilst in the tub and there’s excellent underfloor heating throughout! 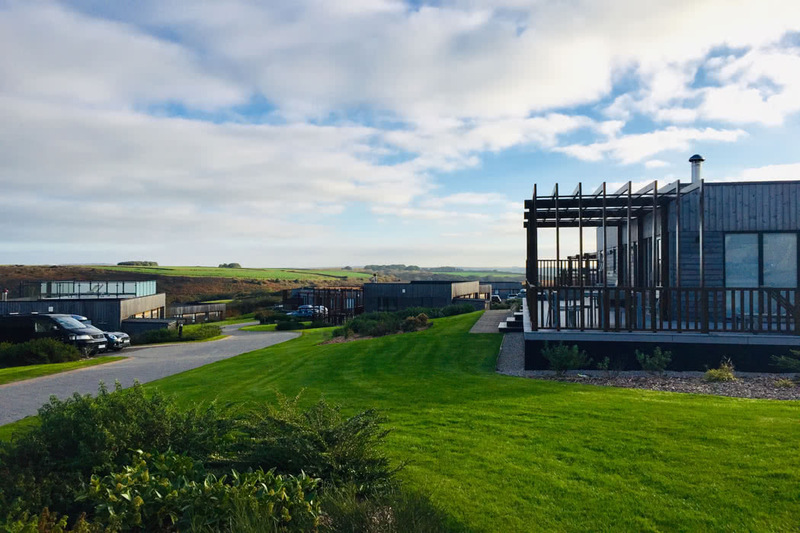 It’s hardly surprising that the resort has been hailed by the Telegraph as one of the hottest developments in Cornwall and the residences themselves: “take eco-lodges to a whole new level”. The property offers everything you could need for a self-catering getaway from coffee, tea and biscuits, to luxury Rituals bathroom amenities and all the cookware, crockery and cutlery you could need. And even though the residences all lie close to one another, you can still enjoy sitting in your sunken hot tub on the deck with a glass of something chilled in hand, feeling completely secluded and private. For little ones there’s a whole host of extras available, including: travel cots with linens and bedding, bed guards, high chairs, buggy’s, baby baths, changing mats, stair gates, LED night light, steam sterilisers, bottle warmers, blenders, plastic bowls and spoons, blackout blinds and even baby bouncers! If a Residence isn’t for you then why not choose a standard or assisted living lodge, signature deluxe lodge, or lakeside luxury studio. 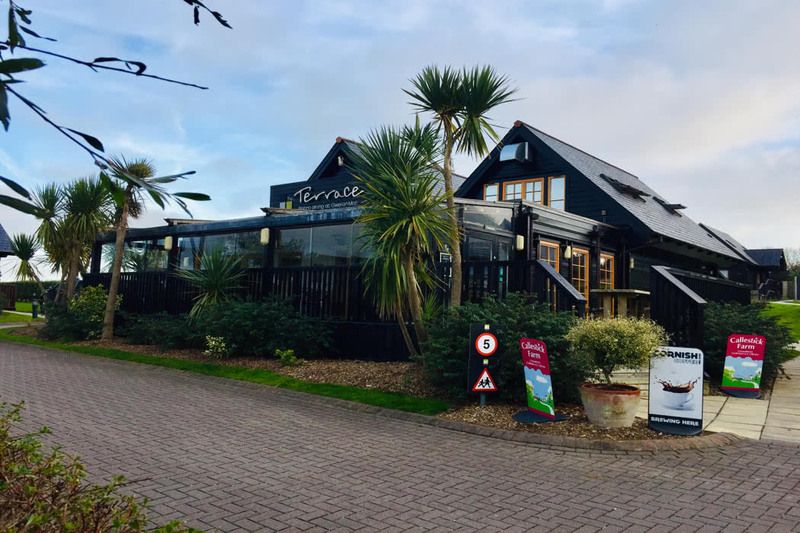 Although this resort is self-catering, if you don’t want to purchase groceries and cook for yourself, you can always dine out at the Terrace Bar, which offers great local Cornish and international cuisine (I highly recommend the Newlyn Crab Linguini!) or why not order one of their a delicious takeaway meals which will be delivered directly to your door in minutes (plus delivery is free!). The Bar also serves a great selection of hot and soft drinks as well as beers, wines and spirits and the service is truly friendly and welcoming. If you want to make your life even easier, you can pre-order one of their hampers or ‘finishing touches’ before you arrive, which include: BBQ, Breakfast and Picnic Packs, Champagne & Canapes, Rose Petals, Cream Teas and Handmade Chocolates which can be ready and waiting for you in your home-away-from-home on arrival. 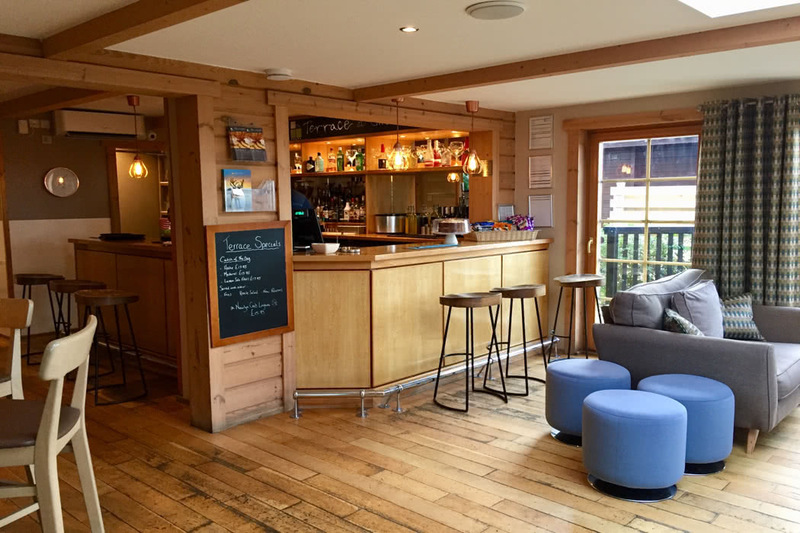 During the day if you visit the wonderful Base Camp Soft Play and Climbing Centre you can also enjoy hot and cold drinks, snacks and light bites while you let your little one’s burn off some energy. This five star family-friendly resort is truly fantastic and best of all, all the amazing facilities are all within a 5 minute walk from your lodge door (much closer than some larger branded resorts!). It’s absolutely ideal for a coastal break for families and couples alike and you can even bring your four-legged best friends too! Rates for a 3 night short break start from £465.